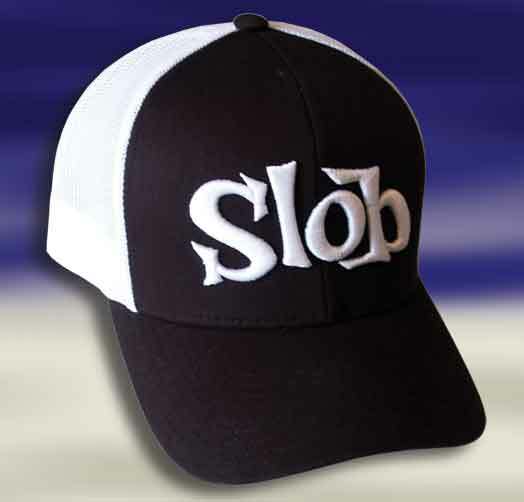 Slob Low Profile Trucker Mesh Cap. Low profile structured cap with cotton/poly twill front & mesh back . Pro stitched with front 2 panels cotton twill and back panels nylon mesh . PE visor board (Pre curved), self material undervisor . Adjustable snapback backstrap, Adult, one size fits all.